Nope it’s not only the girls who worry about what to wear! 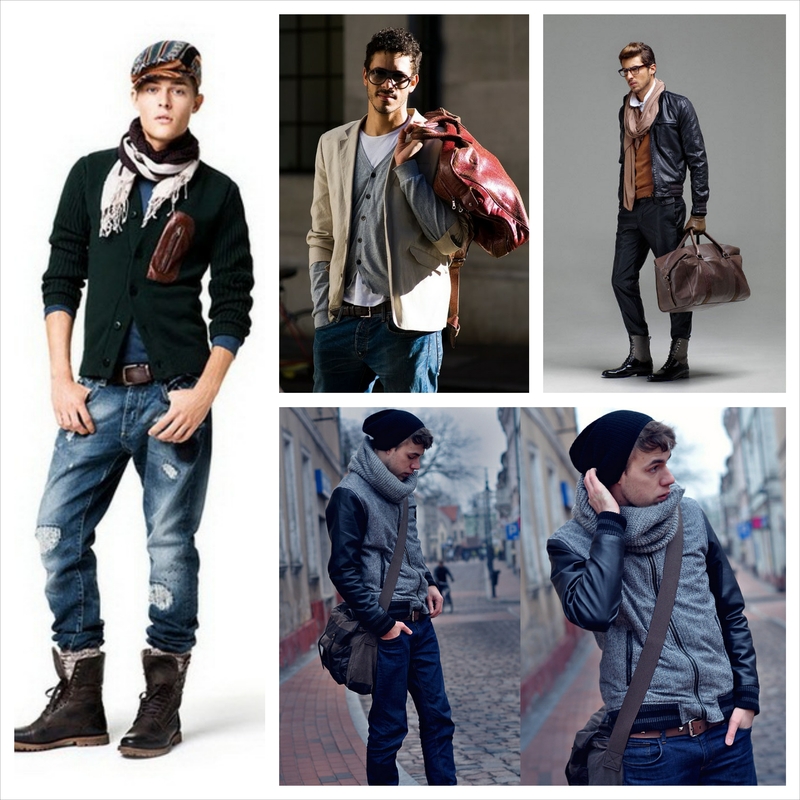 Fashion can be tricky for guys too, Picking a specific style of teen boy fashion can also be fun. If you are heading back to college, starting a new job, or sometimes you just want something for going out and partying at the weekend, you can just mix and match styles as you go creating your own look. While styles change from year to year, here are basics that tend to remain staples throughout even the wildest trends. From sporty to punk, smart to casual, something cool or something quirky we have all the essentials for you to help you impress that girl you have been gazing at during your math lectures ! Yes the t-shirts as always are in and ready to speak out for you. T-shirts with images or quotes on them are a nice casual item to have. Short-sleeved or long-sleeved, t-shirts come in a wide variety of styles and motifs now. Polo’s are also a good choice. Though a tee is typically associated with easygoing outfits, with a little creativity you can elevate this piece and make it part of a fashion-forward look. Pick your favorite tee, throw it on over some jeans, slip on your trusted sneakers and get ready to go! If you have an athletic or sporty persona or want to project the look, try hooded sweatshirts, or hoodies which are easy-to-wear, certainly comfortable, and come in a myriad of styles and colors…and they represent an iconic fashion trend as well. From the zip-up hoodie to the pull-over type with a front pocket, there is a whole range to select from. 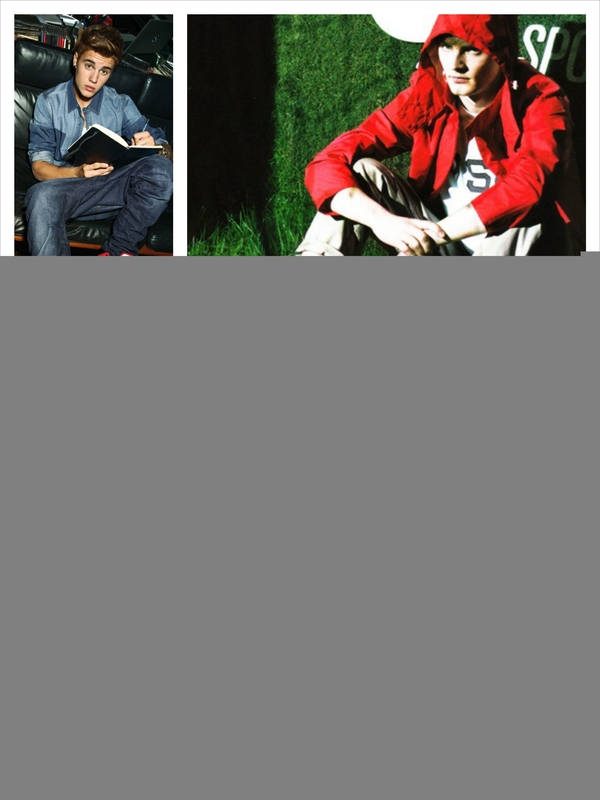 Carry the rapper or hip hop look with a hoodie, a baggy jeans accessorized with a hat or a bandana. The waistcoat is to guys what the LBD is to girls. 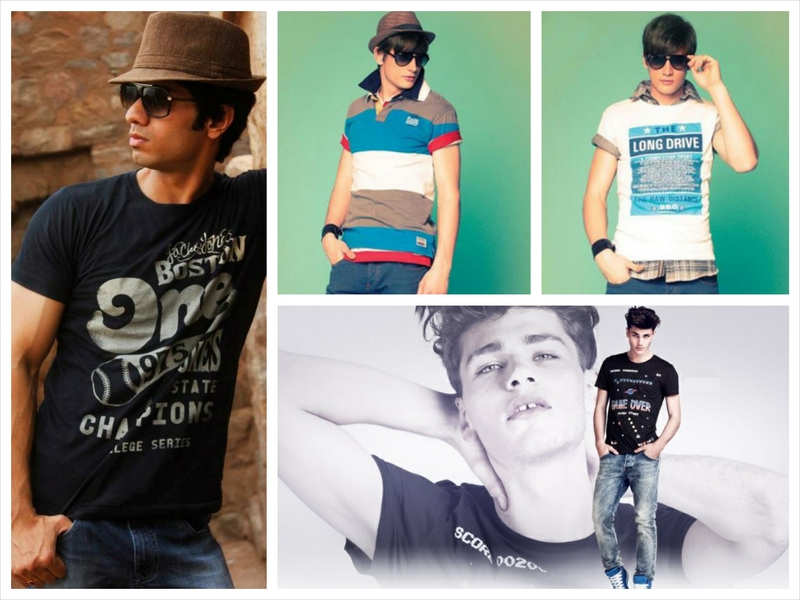 Take your pick from a wide range of these including denim, plaid or leather ones. 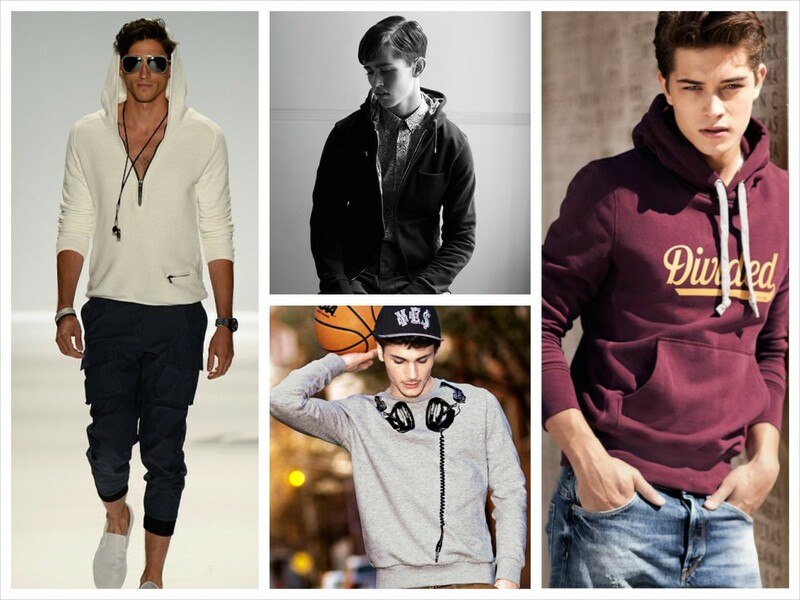 Pair it up with a hoodie, add oomph to your style by wearing it in a creative and versatile way. Wear your waistcoat over a casual tee or a formal shirt with the longest piece of clothing showing from underneath the jacket. 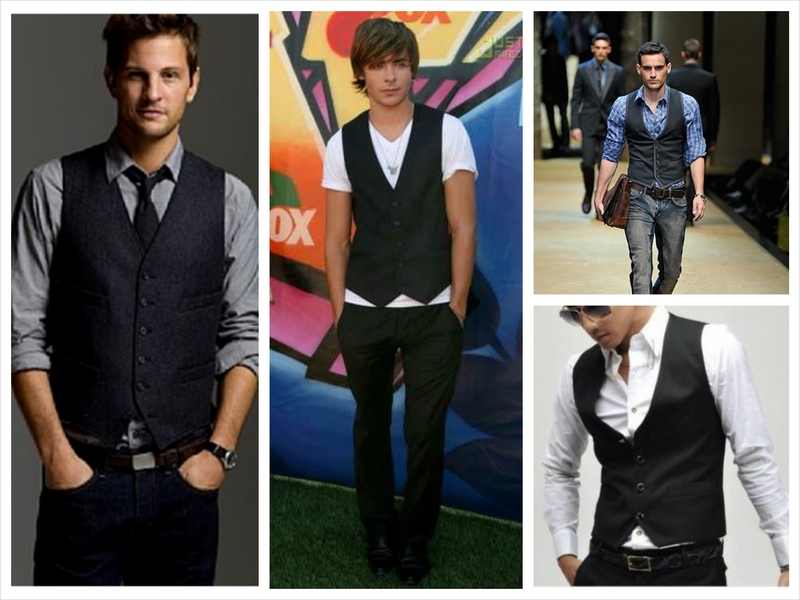 A tucked-in shirt with a waistcoat is too frumpy unless the coat is cropped. Compliment it with skinny jeans, a matching tie and leather shoes for the perfect nice-guy-next-door look. 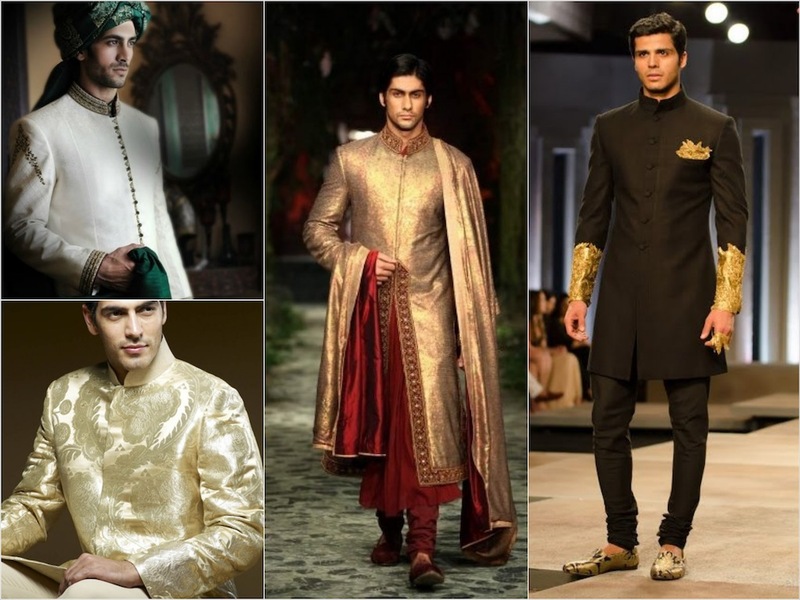 Some things can never go out of fashion irrespective of the fads and trends. A nice pair of jeans is just that one perfect piece of clothing. It’s comfy, stylish and wearable on several occasions. 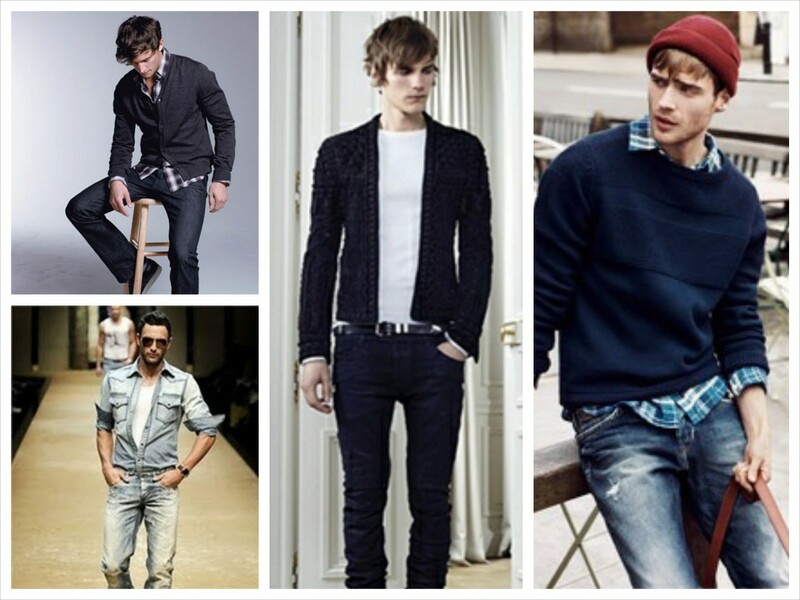 For teen boys, jeans are an everyday wear which is why baggy and loose fitted jeans are the perfect option. Stone-washed jeans are ideal for those who desire a rugged and rough look. Team’em up with bright & trendy T-shirts or a buttonned down shirt. 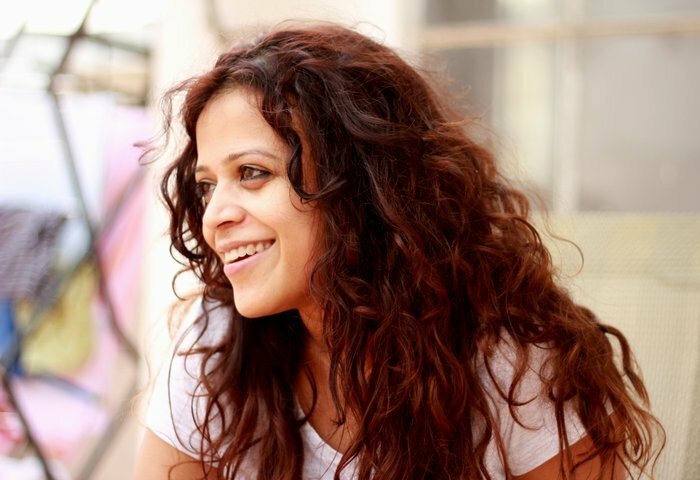 Teen Trends – Nothing compares to your favorite pair of Blue Jeans, does it! 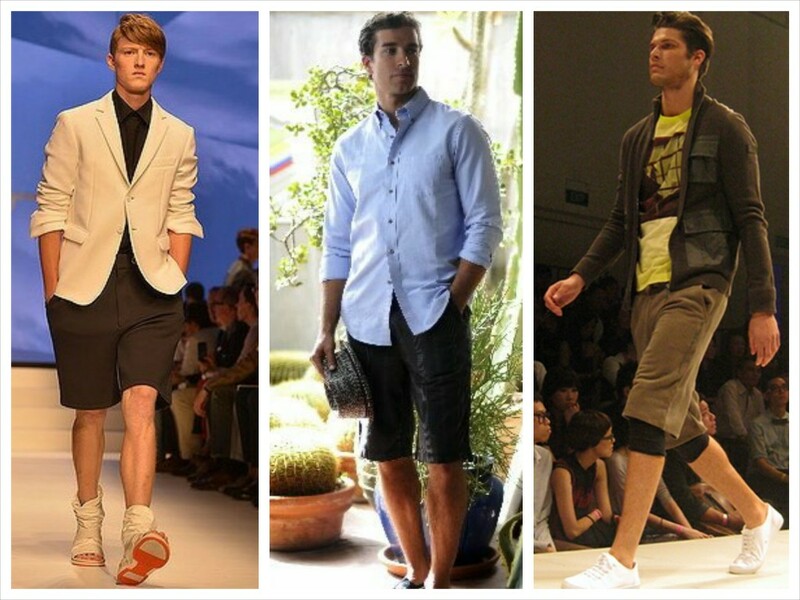 Chill your calves with cool knee length shorts. Opt for a khaki or plaid shorts and pair it with a sporting jersey and a white, collared polo underneath to get that preppy look. Flip flops are the best match with these shorts. 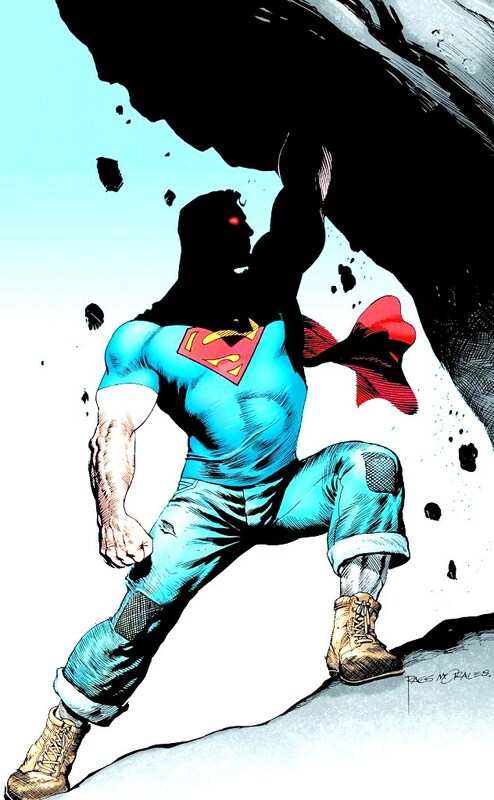 And if you want an easy way out without affecting your dad’s wallet just convert an old pair of jeans or pants that have worn out at the knees into a pair of shorts by cutting and hemming them to the proper length. Yes its true that sneakers are heart and sole to teenage boys. 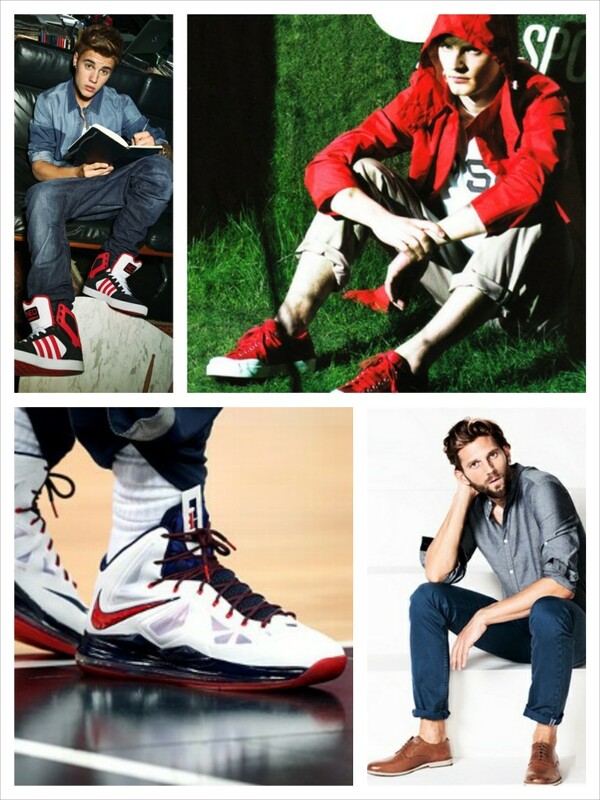 Once limited to being basketball staples, sneakers have invaded the fashion street worldwide. These are versatile pieces of footwear which can be worn with almost anything. But they have to be classic, something that is low cut and without any fuzz or glitz. Dress your pair with a tee, hoodie, jeans or shorts, it all works! Don’t miss to accessorize before you leave home. Match the belt with the shoes. Experiment with a Rugged neckpiece made of leather or big beads. Wear caps if you like the sporty look. Hats can be very trendy, when worn with jeans and a jacket. A pair of nice glasses and those big watches will turn your look into a very trendy one. Make the best match, do not be sloppy! Get the above nitty-gritties in your wardrobe and all you have to do is flip it out, mix and match and you are ready to paint the town red, blue, green or whatever color you fancy. Experiment with different clothes, for you don’t know what is likely to make a hit with you and your circle, and which clothes you are going to have fun wearing. Be bold in your choice. The trend is to choose anything that will make you stand out and get noticed. Don’t be afraid to care about your looks. Have fun. Finding your own style should be fun. Express yourself as best as you can and be original.